Thoughts: Like its adjacent sister restaurant, Next Door By Josie quickly established itself as a Santa Monica neighborhood staple. And the staple's menu staple? Definitely the Beer & Bacon Caramel Corn, the ultimate man snack. Crunchy, hoppy, salty, bacon-y, sweet-y. 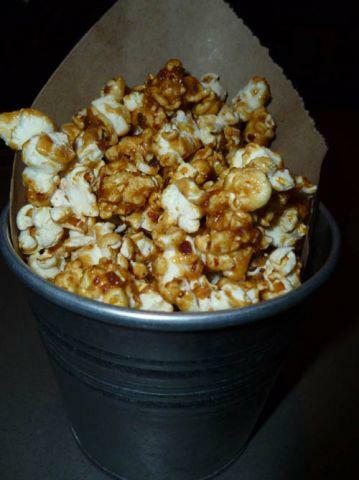 Annoying: Next Door by Josie offers a solid Happy Hour drink menu with some good deals, but most of the food remains the same price, including the Beer & Bacon Caramel Corn. What is this, China? At least take off a dollar or so!